Now that you’ve learned how to cook up the perfect artichoke, here are a few dip ideas – 10 to be exact – for all those wonderful leaves (and the delectable heart!). 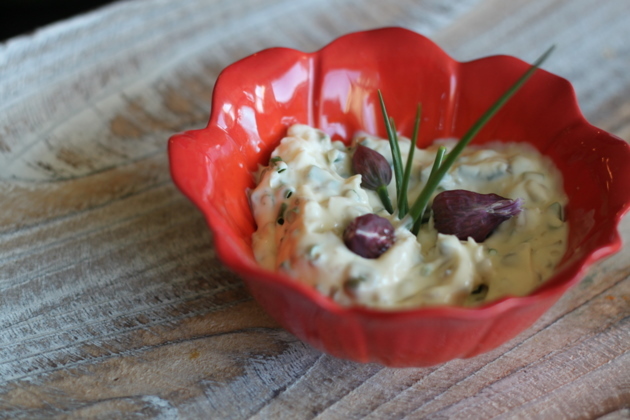 Once you try these dips for artichokes, you’ll be addicted. The one and only, this combination seems as though it was just made for artichokes. 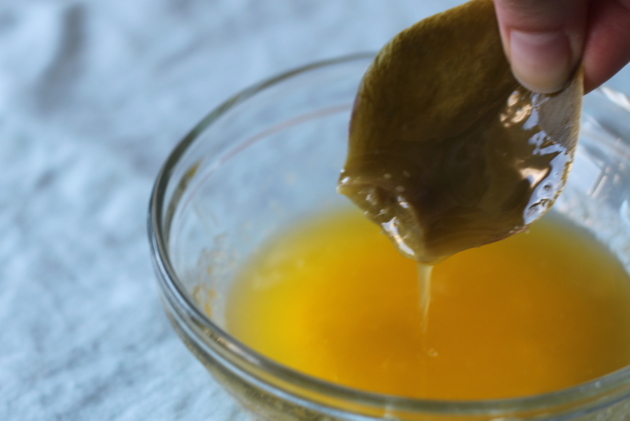 Melt butter over low heat in a saucepan or microwave. Stir in minced garlic. Nice and subtle. The perfect flavor combo to bring out the very best of those delicious green buggers. 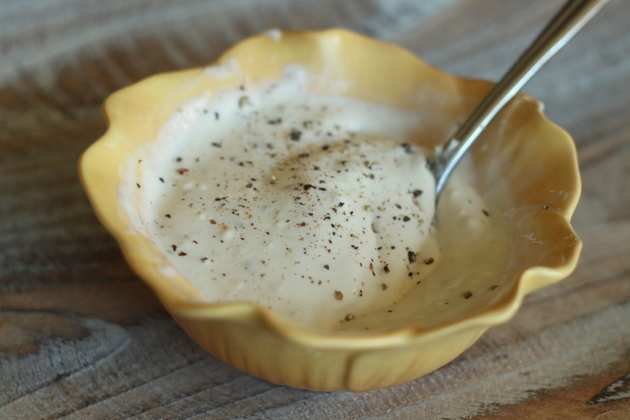 Melt butter over low heat in a saucepan or microwave. Stir in lemon juice. Kicky! Especially good with grilled artichokes. Mix together. Refrigerate for a couple of hours, then serve. Mix together. Let sit for a bit so the flavors get to mingle, then serve. Intriguing, unexpected and surprisingly amazing with artichokes. In a small bowl, mix together. Serve. Super duper simple and surprisingly good. In a small bowl, mix together and serve. A little Asian inspiration with a nice kick. It’s a little heavy-handed, but in a good way … why not? In a small saucepan over low heat, mix together the following ingredients until well-incorporated, then serve. — That’s it! 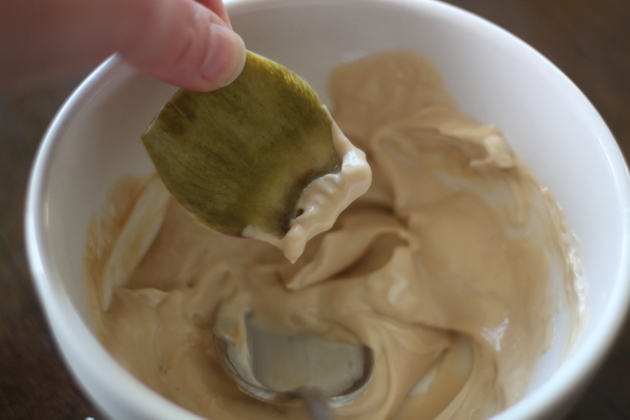 Now go … get dipping! Perfect Post! I wish I could try all 10 at the same time. 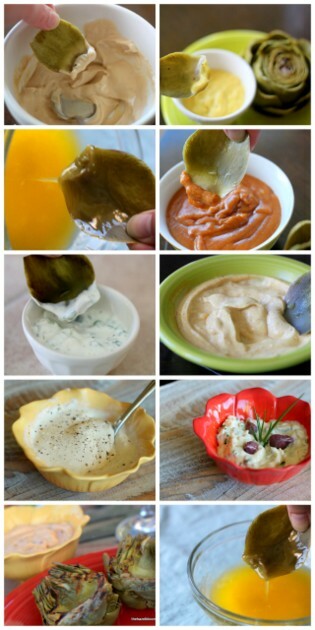 We should be getting artichokes any day now and I’m going to start thinking right now about which dip I’ll try first! 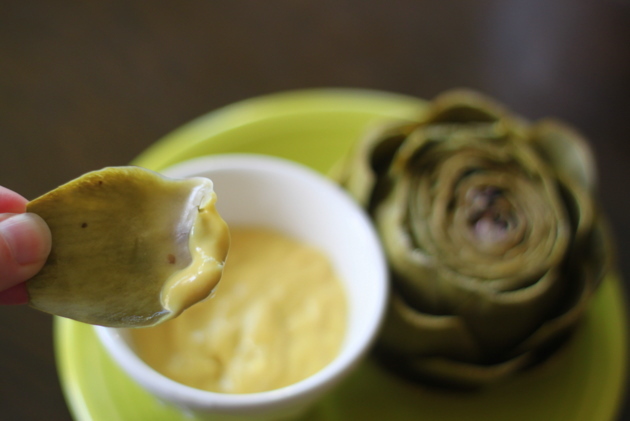 I’ve been avoiding making artichokes because I haven’t known which sauce to to use….you solved my problem. I may just pick some up for Sunday dinner. Love the variety! 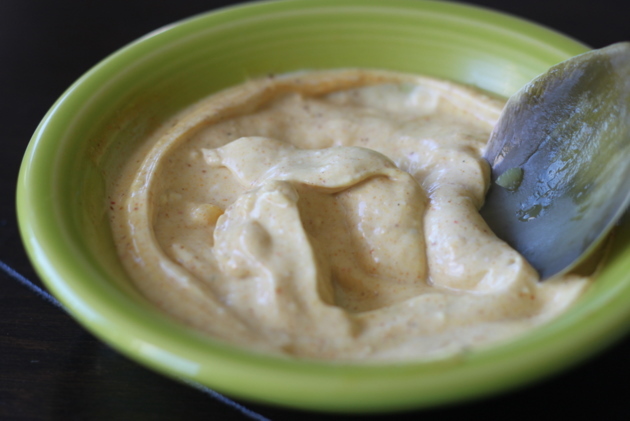 Still, I’m surprised not to see more flavorful butter dips — what about a chipotle-chili-honey-butter, or an italian-herb-butter? 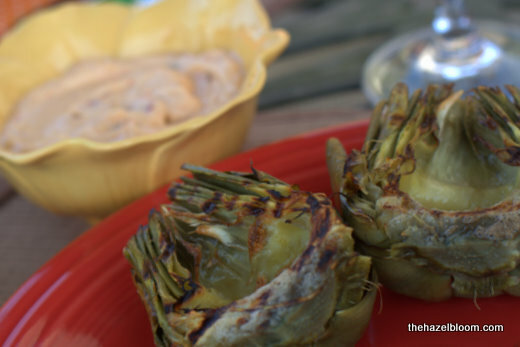 I love artichokes and have recently become a huge fan of Greek yogurt. 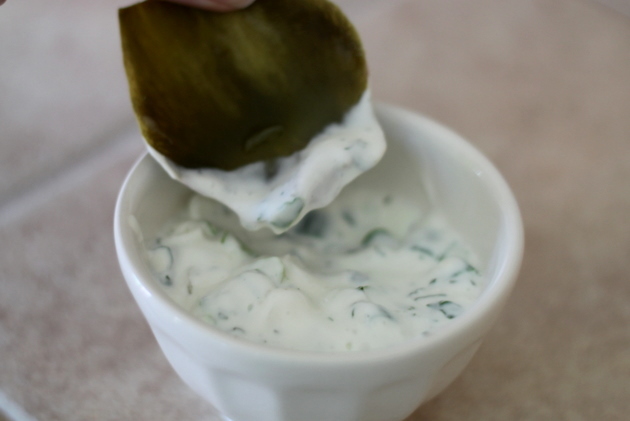 So…the first sauce I’m going to try is the Greek yogurt + Mint + Scallions! Wonderful recipes, thank you for sharing! 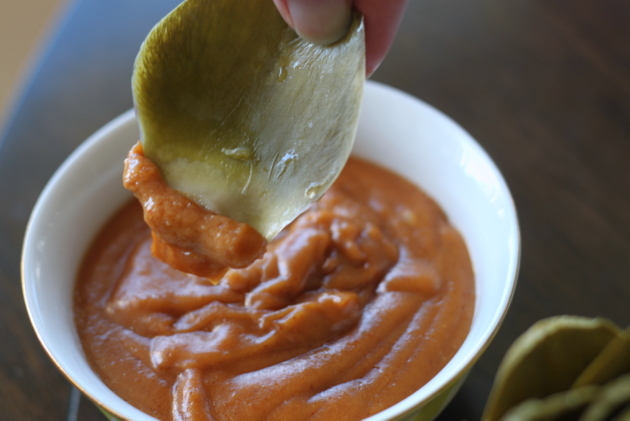 The sriracha sauce needs about a third of the water suggested in this recipe. Unless you want soup instead of sauce. Why would you ever separate your recipes with anything from Martha Stewart? She has no integrity and deserves th be banned from all public spaces. Sorry I can’t support you website.